When I first saw the stores being filled with all the back to school items, I instantly wished for more summer days. Can you relate? However, as it gets closer, I am getting a little more excited and thinking of ways to prepare our family for school. As a mom, I know how important and helpful it is to plan ahead when you know you are entering into a busy season. 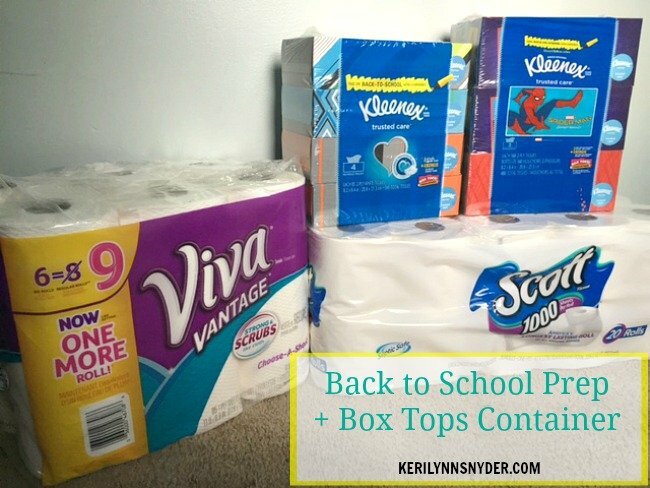 One simple way I focus on preparing for the upcoming school year, is to stock up on supplies for our home. 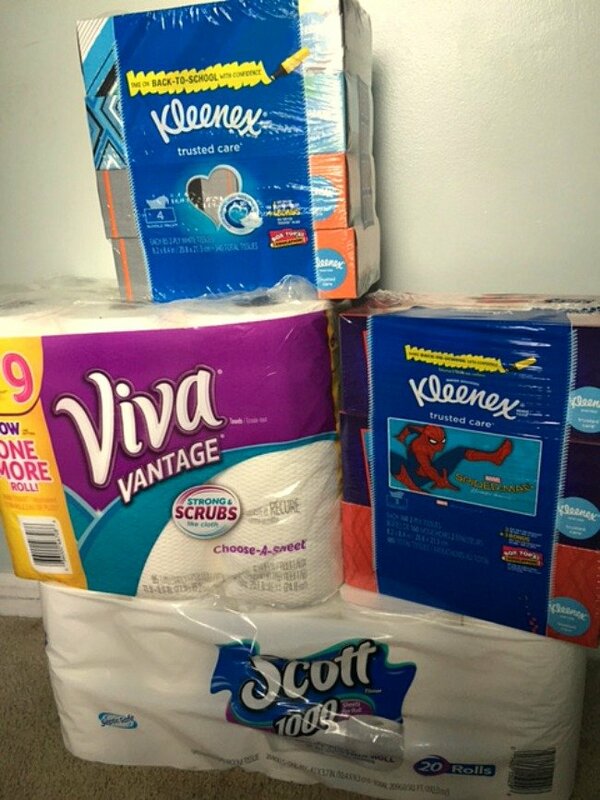 So often we buy all of the supplies for school and then forget about what we may need right in our own homes. When the busy school days come, the last thing I want to worry about is running out for more toilet paper or tissues. 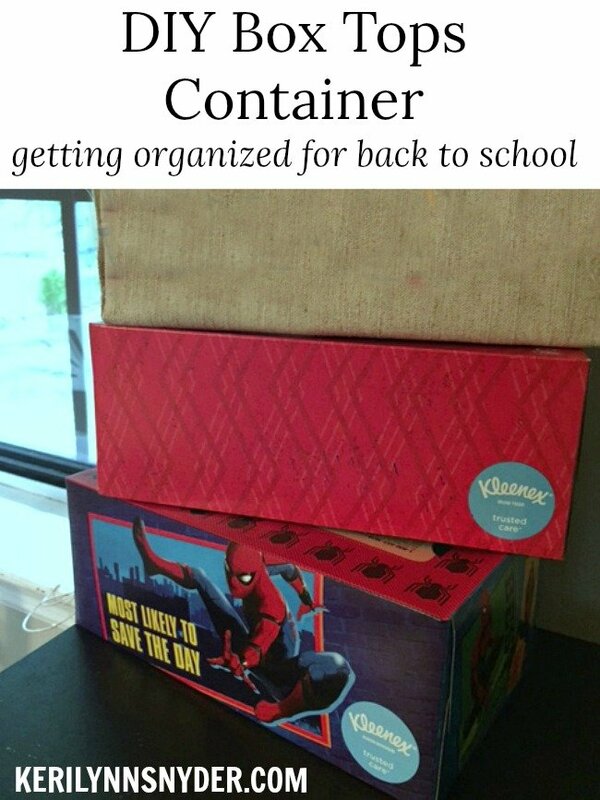 I also love to have some extra supplies on hand so I can send in a box of tissues when the teacher needs it and so on. Since Walmart is literally right down the street, it is my go-to spot to pick up our supplies. No matter how many items I am getting from the store, I need to have a list. With school prep coming, I put together a list of my top items to buy and left space for more items to be added to the list. 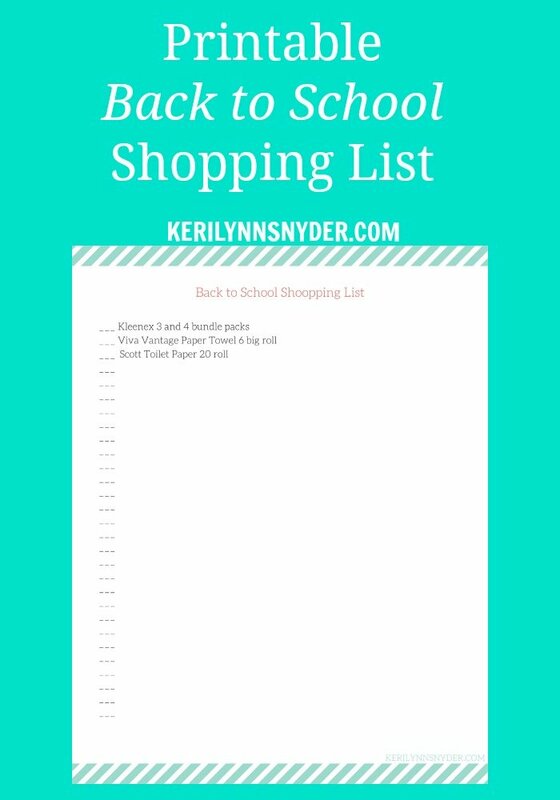 Download your own printable back to school shopping list here! As a bonus, right now, Kleenex® is helping us all give back to our schools this year as they have double box tops on their products. We always love collecting box tops for our school and even our extended family members will gather them for our kids’ school. The fact that these everyday items have double box tops on them, makes things even more exciting. 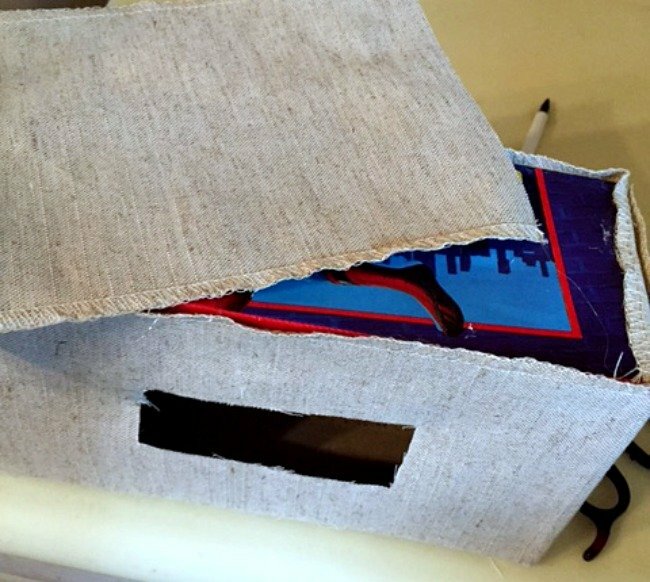 With all of the box tops entering our home, I decided to put together a container to hold the box tops. It is super easy to loose track of the box tops, so I knew we needed to contain them in one spot. Plus, my kids love being able to fill the box themselves as we come across box tops. 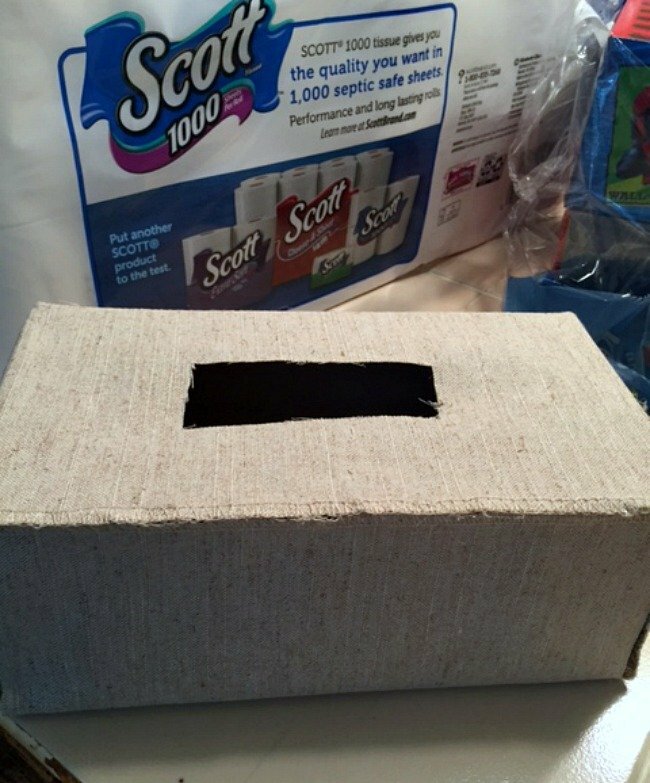 With my love for repurposing items, I decided to get a little crafty with the Kleenex® Box. Friends, this is such an easy craft and you can use what you have in your home. Head to Walmart and grab your supplies! 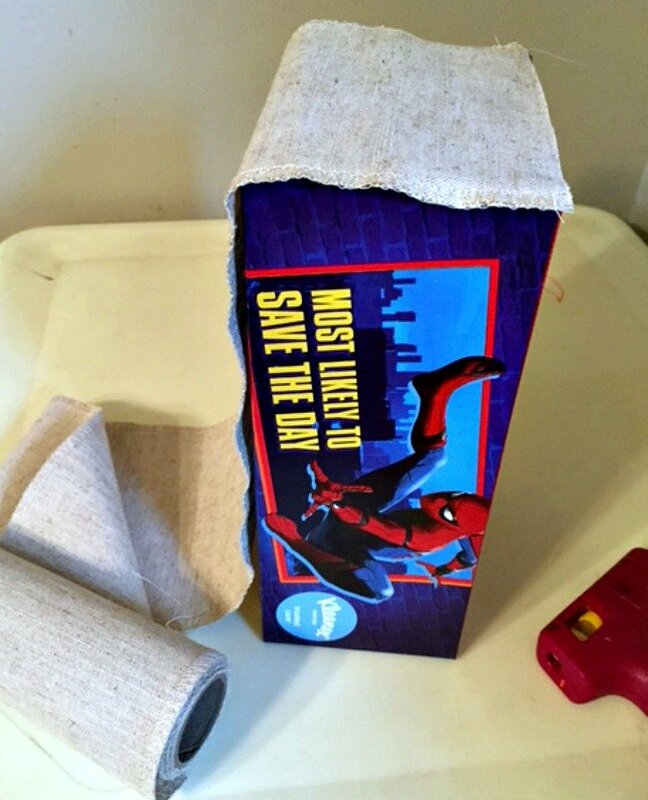 Once you have an empty Kleenex® box, you are ready to go! 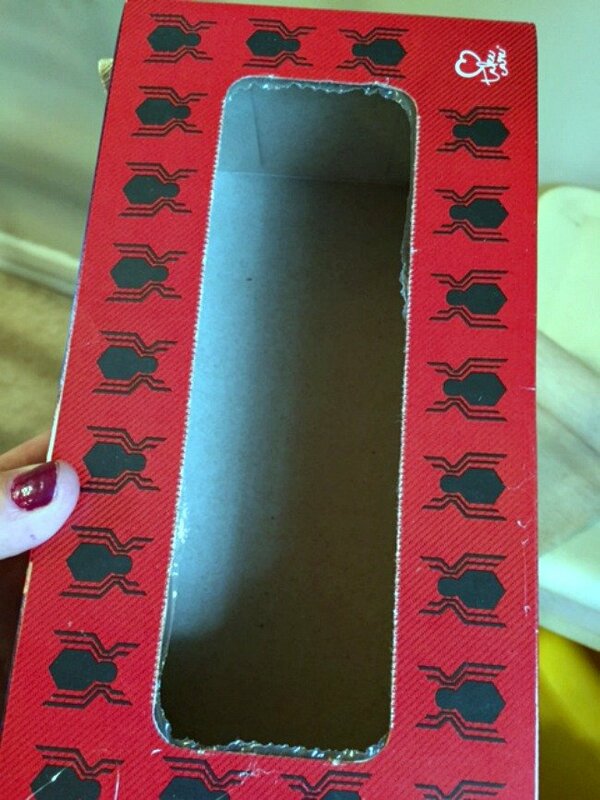 Tear out the plastic that is on the top of the box. Decide what you want to cover your box with. I went with some linen fabric that I had from Walmart. You could use contact paper, construction paper, or wrapping paper. I used hot glue to secure the fabric. Cut a rectangluar hole in the covering for the box tops to go into. Make sure to leave this hole big enough to empty it. Continue to cover the entire box. Now you are ready to fill it with all of those box tops from your recent shopping trip to Walmart. Box tops have been something I have collected since my oldest started school. However, we have never had a container for them, so I am so excited to have one this year! Ready for some back to school shopping? 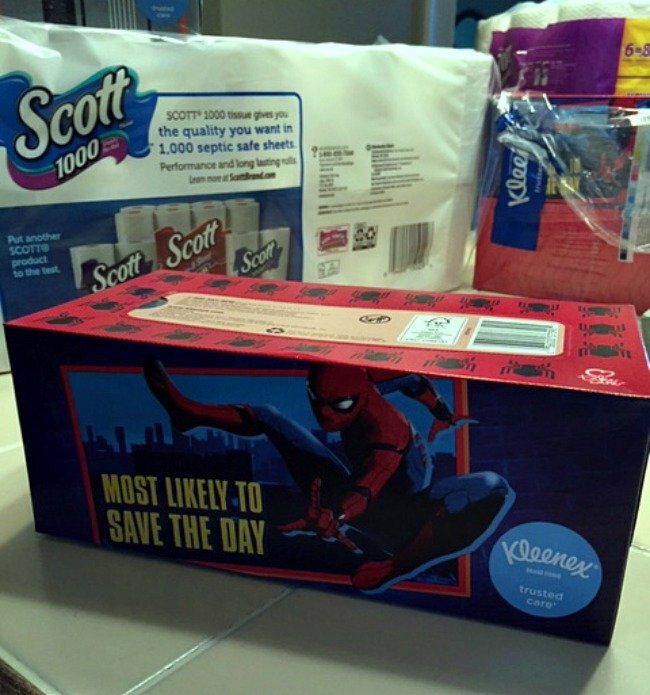 Head on over to Walmart and get double box tops with Kleenex® Facial Tissue! Don’t forget to bring your list. What a good idea! How fun for kids! I would have loved this as a teacher as well! Thanks Ashley, yes one would be great in a classroom! So cute Keri! This is a good reminder too I’m off to pick up school stuff and just ran out of tp!!! Cute idea- as a PTA board member I like anything that reminds people to collect the box tops! What a cute little DIY! We love our box tops!